Sung Hoon is an actor in Seoul, South Korea. He is under the agency, “Stallion Entertainment” and he has lots of fans all over the world. He was actually a member of the Korean national swim team before he went into acting. He has been in a lot of dramas and movies. He has also been in a Chinese movie as well. You can see him on variety TV shows where he is a guest. The variety shows in Korea are very fun because they really show the human side of the actors, so it’s a good idea to catch Sung-hoon in as many variety shows as possible. We at Flower Gift Korea had the opportunity to deliver some gifts to Sung-hoon from his fans from outside of Korea. He hasn’t received that many gifts from fans yet, but Flower Gift Korea can help you send gifts to him. 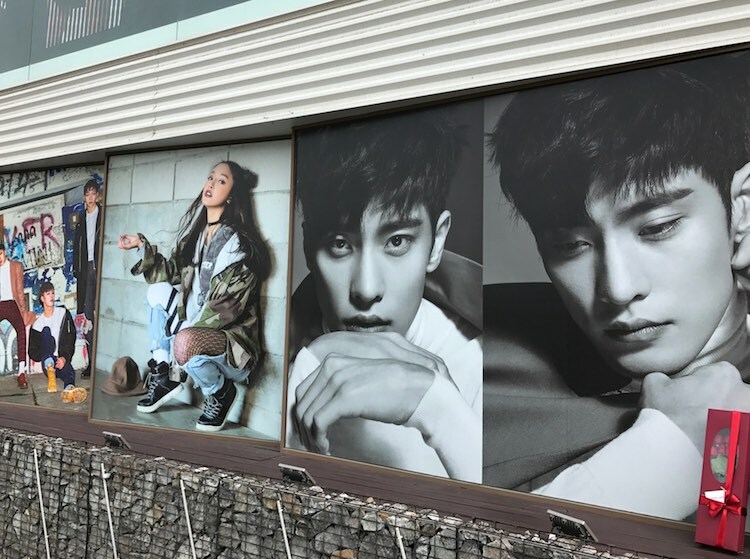 We went to his agency personally and took some photos as well. Unlike other agencies, Stallion agency had a lot of posters of its actors/actresses on their walls. As you can see, we have included an image of our long stem rose box on the right side of the picture. There is also a bottle of wine there, but you can’t see it in the image. Visiting Stallion Entertainment was fun because of all of the cool posters. They even had posters of movies beside the elevator when we went to deliver the flowers. 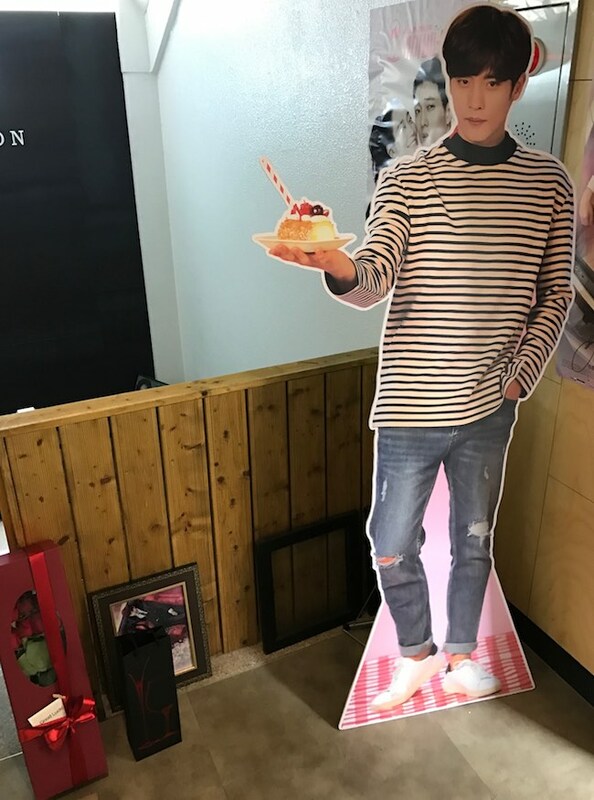 You can see what was sent to Sunghoon. He received a box of long stem roses and red wine. I think the person in charge of decorating the place did a really good job! 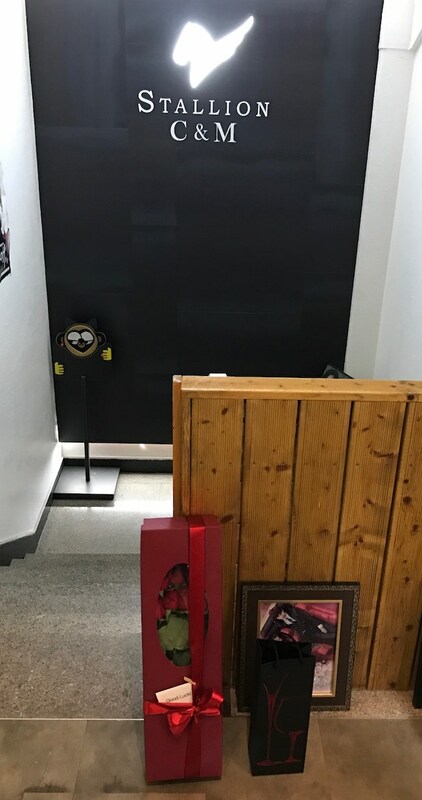 Most of the agencies Flower Gift Korea have visited have a sign with the name of the agency, and that’s it. There are even agencies that do not have a sign up, so we weren’t sure if we had the address correct. But once we asked for the person’s name, a staff member said that it was the agency. I would like to ask for the prices thank you in advance.